The Norwood News, WFUV radio, and BronxNet Television have partnered to bring you a five-part series on gangs in the Bronx and their implications to their communities. This past summer, Lesandro “Junior” Guzman-Feliz was brutally murdered by gang members affiliated with the Trinitarios in a case of mistaken identity in Belmont, drawing massive media attention and spurring the hashtag #JusticeforJunior. Freddy “June” Charles Jr., a so-called “credible messenger” at the Morrisania-based “Release the Grip” (RTG), said no one should die like that. When news of Junior’s murder broke, he was at the RTG office. “That’s not just a murder, that’s gonna be a worldwide tragedy,” Charles said. He remembered telling his coworkers, “You hear about murders all the time, but you rarely see someone get killed in that manner on the street. Lesandro’s brutal death was captured on surveillance video. When the RTG team heard, they all came to one question: How can we avoid this? The answer could come in the near future as RTG is slated to open an office in Belmont, thanks to $1 million in funding from Councilman Ritchie Torres, who represents Belmont. The Morrisania office is an embedded institution the nonprofit hopes to replicate in Belmont. Charles works alongside Troy Miller, who are guided by the principle that credibility is key. Their role as a “credible messenger” in the South Bronx community is a term that suits them better. 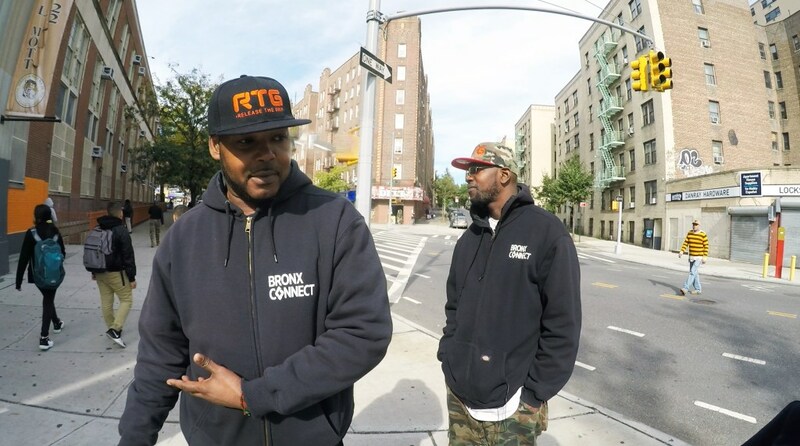 Miller and Charles serve as outreach workers for RTG, a program under BronxConnect’s Cure Violence initiative. Their role is a step beyond a so-called violence interrupter, which involves former gang members canvassing a neighborhood to share their past with active gang members to prevent violence and gang activity. Charles has lived in Morrisania his entire life, and his apartment is just two blocks from his outreach office. He would not give specifics about participants or different gangs in the community for fear of damaging his reputation. In 2010, Miller lost his 25-year-old brother to a gang murder. These days, Miller shares this experience with young people.